If you’re just starting out in the working world, or if you’re looking to change vocations, you may be interested in employment in a field where work there’s usually a steady stream of jobs. While there are never any guarantees about any field, one business that offers steady work year round is the HVAC industry. Whether it’s for commercial or residential calls, you can bet the HVAC system will eventually need attention, requiring repairs, maintenance, or replacement. 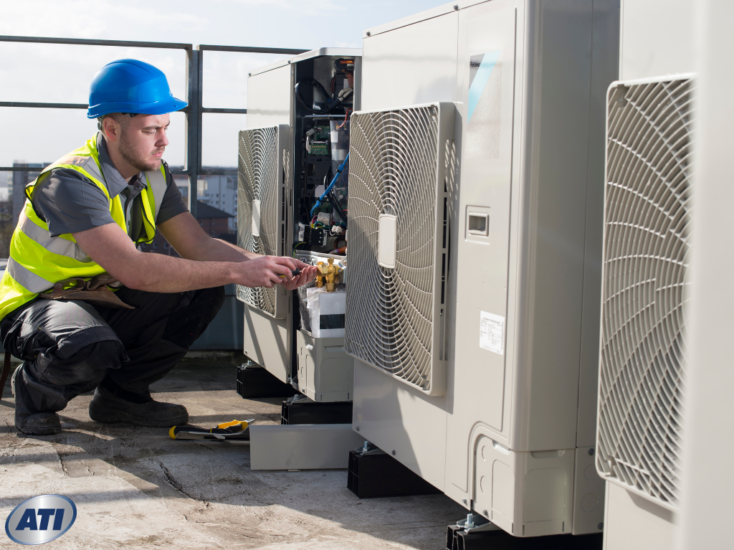 In the heat of summer or the coldest part of winter, business owners and homeowners depend on reliable HVAC companies to repair, maintain, or upgrade their air conditioning, heating, and ventilation systems. That’s why HVAC companies are always on the lookout for well-trained and reliable technicians who can do the job in this challenging field. Before you embark on training, it’s a good idea to decide if you’re the type of person who can make it in the HVAC field. First, a certain amount of physical strength is necessary. You will have to lift heavy equipment and operate tools that require strength in hands and arms. You should also have some physical stamina, as you could be working long hours on an emergency job, where it’s crucial to get an HVAC system back up and running. You will also have to bear temperature extremes, either outdoors or in hot attics or frigid buildings. Work conditions may also include exposure to certain airborne pollutants or hazardous substances such as refrigerant. In some instances, you may need to wear personal protective equipment. HVAC technicians may also work in cramped environments. A few decades ago, most of the work that an HVAC technician did was mechanical and electrical. These days, HVAC technicians will likely also need to know about computerized systems, since modern equipment is increasingly integrated with smart technology. So be prepared not just to be good with your hands, but also your brain. Sure, you will need good mechanical skills to work on furnaces, air conditioners, and ventilation systems, but you’ll also need some other skills when you’re dealing with electricity or computers. While you may not need advanced math, a good grounding in basic math skills will be helpful. You will need to become adept at doing maintenance on systems — checking them for worn or broken parts that can be changed before they cause breakdowns. You will also need to develop troubleshooting skills so you can track down issues involving the HVAC system, including failing compressor, cracked heat exchanger, dirty coils, plugged condensate drain, low refrigerant charge, broken fan, unbalanced system, broken thermostat, failing capacitor, and many others. Before you embark on any training, make sure you have your high school diploma or a GED in hand. 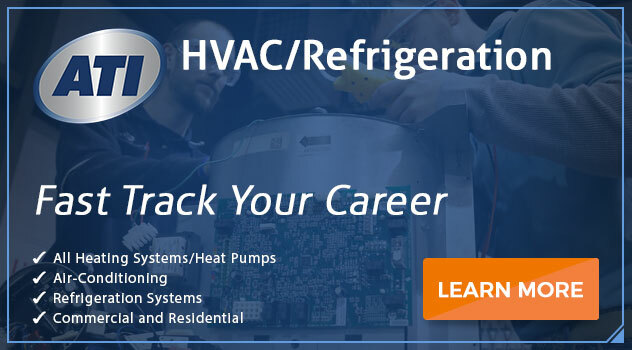 Some HVAC companies will hire and train technicians as apprentices, but you’re a step ahead if you enroll in a formal training course and learn the ropes from knowledgeable instructors. Of course, on-the-job training is important, but so is getting a thorough foundation in HVAC basics. Along the way you should also get a good grounding in basic math and HVAC safety. Enrolling in a program with a service management component gives you the added benefit of being trained to either run a company or go into business for yourself. With service management training, you may find you’ll climb the ladder with greater facility, possibly earning more and attaining a higher level of responsibility at your job. This training should familiarize the student with customer service, business management, communication skills, inventory management, employee relations, and understanding financial reports. Many HVAC technicians start their careers by working at an entry-level job in the field, while also going to a vocational school or community college to learn their field. Typically, a training program will last from a year to two years. After successful completion of the program, the student is usually awarded an associate degree in the field. Interested in pursuing training in this dynamic, growing field? Then why not look into the Associate of Occupational Science in HVAC Technology with Service Management degree at Advanced Technology Institute? Connect with one of our friendly admissions advisors today for more information. Previous PostHVAC Schools in Virginia Beach: Are They Really Needed to Start a Career in HVAC?